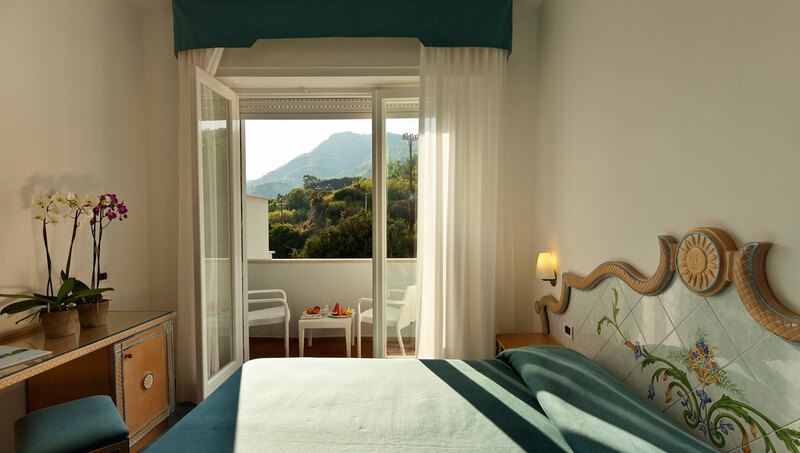 The double rooms at Hotel San Giorgio Terme in Ischia look over the green hills surrounding the facility. 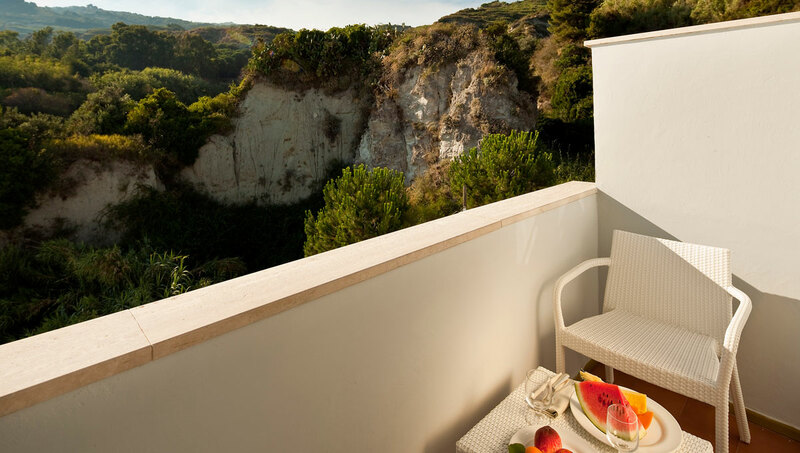 Most of them feature a small balcony furnished with table and chair, the perfect spot to relax into your stay and enjoy the breeze blowing from the hill. 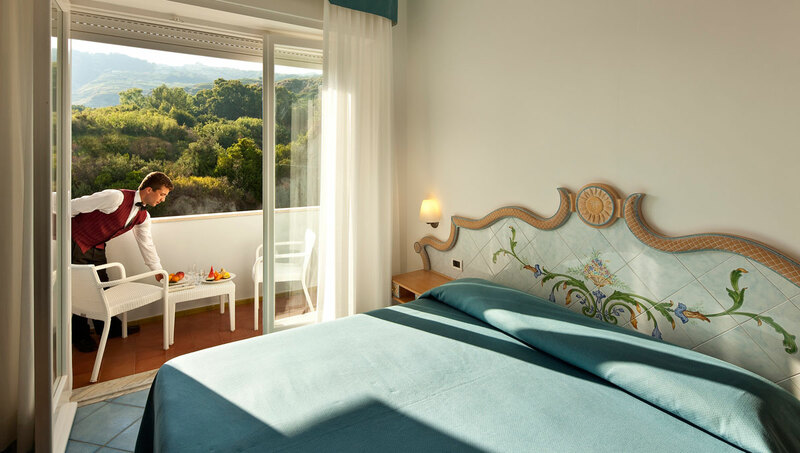 Tastefully designed in a palette inspired by earthy and marine colors, our rooms feature all the modern amenities: tub or shower, WC, hairdryer, safe, phone, TV-SAT, minibar, air conditioning, and free WiFi.